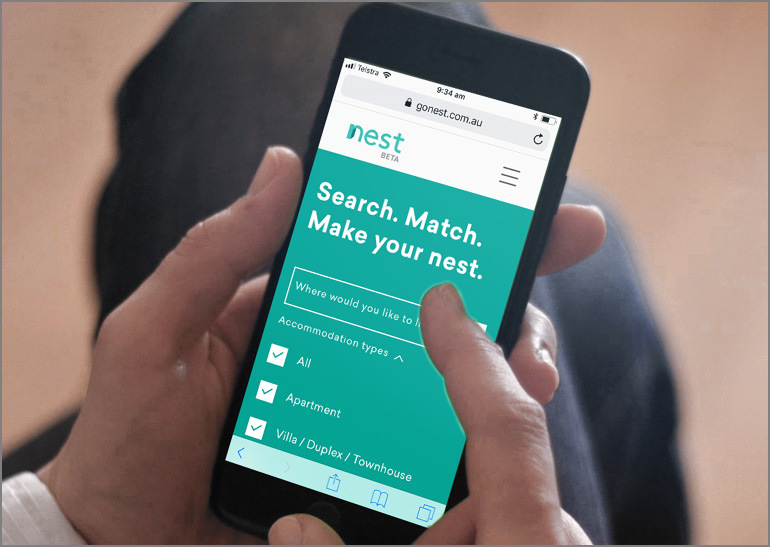 Coinciding with the rollout of the NDIS, Northcott Innovation has launched Nest to help people with disability find suitable housing that matches their needs and preferences. The goal of Nest (gonest.com.au) was always to create a fair and efficient marketplace for disability housing. Prior to Nest, there was a great void in the SDA market. For disability housing providers and people with disability, the equivalent of realestate.com.au had never existed. So finding a place to live, or filling a vacancy has been a frustrating, timely, and costly process if you were looking for disability housing. NI saw the opportunity to improve outcomes for all parties by building an independent matching website, free for both suppliers of disability housing and people with disability. Search, filter and apply for properties by preferences such as accommodation type, location, proximity to shops, transport, and who they want to live with. 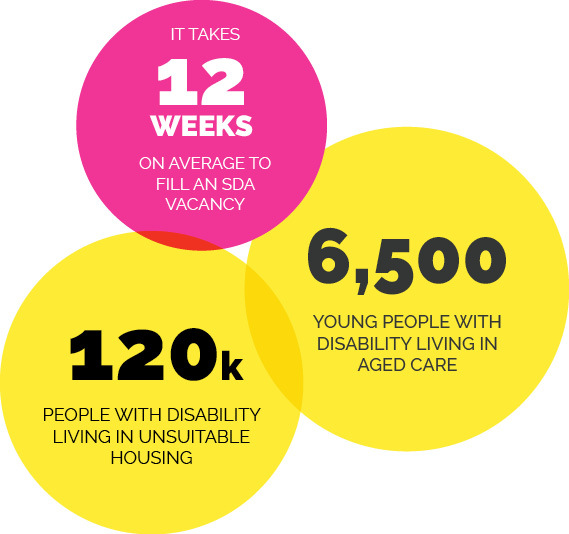 For disability housing providers, having direct access to well-suited applicants, and a simple place to professionally showcase and manage vacancies will save hours of fruitless admin time. Nest is free to use and fully independent, offering the same access and opportunities to everyone, and every provider. 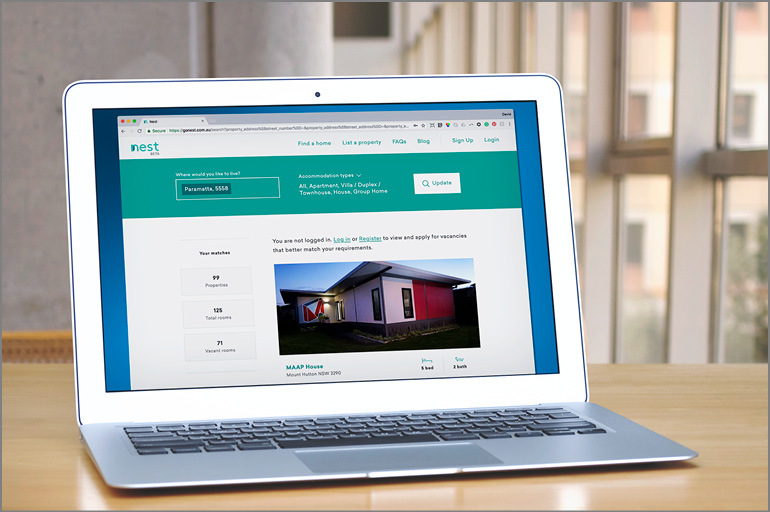 Northcott Innovation have delivered a fully accessible, responsive real estate matching portal, already with over 150 disability housing providers registered. Since launching in May 2018, Nest has over 1000 SDA properties listed and is being viewed by an increasing number of active, registered users every month. Nest’s users are highly engaged – 80% of whom complete their profile allowing them to be auto-matched to new vacancies via email notifications. Nest aims to halve the time it takes to fill a vacancy, and provide a way for people with disability to find a home they love. We will continue to update the Nest platform to make searching for and finding disability housing a simpler, better experience. Nest hopes to reduce the shortfall in disability housing supply by encouraging greater investment and innovation in the sector. Nest is an NI initiative.